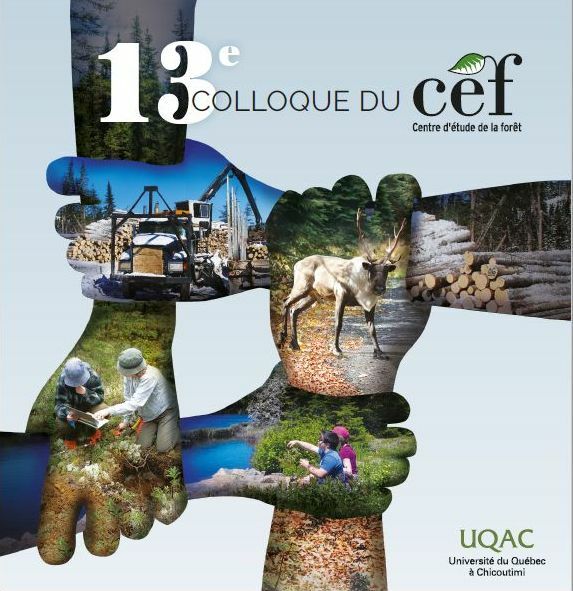 Un défi de taille en écologie des communautés est de développer des outils et approches permettant de quantifier l'impact des perturbations anthropiques sur la qualité et le fonctionnement des écosystèmes forestiers, de même que sur leur capacité à répondre à de futures perturbations. Les changements sans précédent auxquels font face les écosystèmes forestiers à l’échelle de la planète ont stimulé l’émergence de nouvelles approches et outils diagnostiques nécessitant de larges jeux de données. La mise en réseau de données et d’informations scientifiques permet d’intégrer des données à diverses échelles spatiales ou disciplinaires afin de générer du savoir répondant aux grandes questions de l’heure. Je m’intéresse au rôle du sous-bois dans le fonctionnement des écosystèmes forestiers de même qu'à l’importance de la prise en compte de la spécificité du sous-bois dans la gestion forestière. Bourgeois, B., Gonzàlez, E., Vanasse, A., Aubin, I. & M. Poulin. 2016. Spatial processes structuring riparian plant communities in agroecosystems: implications for restoration. Ecological Applications 26(7): 2103-2115. Aubin, I., Munson, A.D, Cardou, F., Burton, P.J., Isabel, N., Pedlar, J.H., Paquette, A., Taylor, A.R., Delagrange, S., Kebli, H., Messier, C., Shipley, B., Valladares, F., Kattge, J., Boisvert-Marsh, L., McKenney, D. 2016. Traits to stay, traits to move: a review of functional traits to assess sensitivity and adaptive capacity of temperate and boreal trees to climate change. Environmental Reviews 24(2): 164-186. Talluto, M. V., Boulangeat, I., Ameztegui, A., Aubin, I., Berteaux, D., Butler, A., Doyon, F., Drever, C. R., Fortin, M.-J., Franceschini, T., Liénard, J., McKenney, D., Solarik, K. A., Strigul, N., Thuiller, W. & Gravel, D. 2016. Cross-scale integration of knowledge for predicting species ranges: a metamodeling framework. Global Ecology and Biogeography 25(2): 238-249. Aubin, I., Cardou, F., Ryall, K., Kreutzweiser, K. and T. Scarr. 2015. Ash regeneration dynamics after EAB outbreaks: any hope? Forestry Chronicle 91 (3):280-290. Boiffin, J., Aubin, I. & A. Munson. 2015. Ecological controls on post-fire vegetation assembly at multiple spatial scales. Journal of Vegetation Science 26: 360-372. Venier, L.A., Thompson, I., Fleming, R., Malcolm, J., Aubin, I., Trofymow, J.A., Langor, D., Sturrock, R., Patry, C., Outerbridge, R.O., Holmes, S.B., Haeussler, S., DeGrandpre, L., Chen, H., Bayne, E., Arsenault, A. & J.P. Brandt. 2014. Effects of natural resource development on the terrestrial biodiversity of Canadian boreal forests. Environmental Reviews 22 (4): 457-490. Aubin, I., Deshaies, O., Cardou, F. & L. Sirois. 2014. Management legacy in the understory of North American mixed boreal regenerating stands. Forest Ecology and Management 320: 129-137. Bachand, M., Moretti, M., Aubin, I., Pellerin, S., Poulin, M., Tremblay, J.P. & Côté, S. 2014. Functional responses and resilience of boreal forest ecosystem after reduction of deer density. Plos One 9 (2) e90437. Aubin, I., Venier, L, Pierce, J. & M. Moretti. 2013. Can a trait-based multi-taxa approach improve our assessment of forest management impact on biodiversity? Biodiversity and Conservation 22 (12): 2957-2975. Pedlar, J., McKenney, J., Aubin, I., O’Neill, G.A., Winder, R. & Ste-Marie, C. 2013. Extreme Climate Variability Should Be Considered in Forestry-assisted Migration: a Reply. Bioscience 63 (5): 317-318. Pedlar, J.H., McKenney, D.W., Aubin, I., Beardmore, T., Beaulieu, J., Iverson, L., O’Neil, G.A., Winder, R.S., & Ste-Marie, C. 2012. Placing Forestry in the Assisted Migration Debate. Bioscience. 62 (9): 835-842. Aubin, I., Garbe, C.M., Colombo, S., Drever, C.R., McKenney, D.W., Messier, C., Pedlar, J., Saner, M.A., Venier, L., Wellstead, A.M., Winder, R., Witten, E. & Ste-Marie, C. 2011. Why we disagree about assisted migration: Ethical implications of a key debate regarding the future of Canada's forests. The Forestry Chronicle 87 (6): 1-11. Bell, F.W., Kershaw, M., Aubin, I., Thiffault, N., Dacosta, J. & Wiensczyk, A. 2011. Ecology and traits of plant species that compete with boreal and temperate forest conifers: An overview of available information and its use in forest management. The Forestry Chronicle 87 (2): 1-14. Mayfield, M.M., Bonser, S.P., Morgan, J.W., Aubin, I., McNamara, S. & Vesk, P.A. 2010. What does species richness tell us about functional diversity? Predictions and evidence for species and trait diversity responses to land use change. Global Ecology and Biogeography 19 : 423–431. Laliberté, E., Wells, J., DeClerck, F., Metcalfe, D., Aubin, I. Catterall, C., Queiroz, C., Bonser, S., Ding, Y., McNamara, S., Fraterrigo, J., Morgan, J., Vesk, P. & Mayfield, M. 2010. Land use intensification reduces response diversity in plant communities. Ecology Letters 13 : 76-86. Aubin, I., Ouellette, M.H., Legendre, P., Messier, C., & Bouchard, A. 2009. Use of two plant functional approaches to evaluate natural restoration along an old field-deciduous forest chronosequence. Journal of Vegetation Science 20 : 185-198. Messier, C., Posada, J., Aubin, I. & Beaudet, M. 2009. Functional relationships between old-growth forest canopies, undestorey light and vegetation dynamics. In Wirth, C. Heimann, M. Gleixner, G. (Eds), Old-growth forests: function and fate of vanishing ecosystem type. Cambridge University Press, Cambridge, United Kingdom, pp. 115-139. Aubin, I., Messier, C., & Bouchard, A. 2008. Can plantations develop understory biological and physical attributes of natural forests? Biological Conservation 141 : 2461-2476. Aubin, I., Gachet, S., Messier, C. & Bouchard, A. 2007. How resilient are northern hardwood forests to human disturbance? An evaluation using a plant functional group approach. Ecoscience 14 (2): 259-271. Aubin, I. Messier, C. & Kneeshaw, D. 2005. Population structure and growth acclimation of mountain maple along a successional gradient in the southern boreal forest. Ecoscience 12 (4): 540-548. Bauhus, J., Aubin, I. & Messier, C. 2001. Composition, structure, light transmission and nutrient content of understory vegetation in Silvertop Ash regrowth stands 6 years after thinning and fertilisation. Forest Ecology & Management 144 : 275-286. Aubin, I., Beaudet, M. & Messier, C. 2000. Light extinction coefficients specific to the understory vegetation of the southern boreal forest (Québec). Canadian Journal of Forest Research 30 : 168-177. Aubin, I. & Hamel, B. 2008. La diversité des érablières. Quatre-Temps 32 (1) : 35-37. Aubin, I. 2006. Le lion du gazon. In Messier, C., Giraldeau, L.A. and Beisner, B. (Eds), L'écologie en ville, 25 leçons d'écologie de terrain. Fides, Montréal, Canada. Aubin, I. & Hamel, B. 2006. Enraciné dans la cité. In Messier, C., Giraldeau, L.A. and Beisner, B. (Eds), L'écologie en ville, 25 leçons d'écologie de terrain. Fides, Montréal, Canada. Boisvert-Marsh, L., Aubin, I. Fleming, R., Hazlett, P., Morris, D., Venier, L., Webster, K., Wilson, S. 2016. Site expérimental Island Lake sur l'impact de la récolte de biomasse: résultats préliminaires. Ressources naturelles Canada, Service canadien des forêts, Sault Ste-Marie, On. 10 p.
Gauthier S., Lorente M., Kremsater, L., De Grandpré L., Burton P.J., Aubin I., Hogg E.H., Nadeau, S., Nelson E.A., Taylor A.R. & C. Ste-Marie. 2014. Tracking Climate Change Effects, Potential Indicators for Canada’s Forests and Forest Sector. Natural Resources Canada, Canadian Forest Service, Ottawa, On. 86 p.
Kwiaton, M., Hazlett, P., Morris, D., Fleming, R., Webster, K., Venier, L. & I. Aubin. 2014. Island Lake Biomass Harvest Research and Demonstration Area: Establishment Report. Information Report. Natural Resources Canada, Canadian Forest Service, Great Lakes Forestry Centre, Sault Ste-Marie, On. 76 p.
Venier, L.A., Aubin, I., Webster, K., Rive, A., Morris, D., Rice, J., Hazlett, P. 2014. Report on the Biodiversity- Biomass Workshop, Great Lakes Forestry Centre, Sault Ste. Marie, ON, Février 2012. Natural Resources Canada, Canadian Forest Service, Great Lakes Forestry Centre, Sault Ste-Marie, On. 83p. Aubin, I. & Ricard, J.P. 2001. Ensemencement d’espèces compatibles dans les emprises de distribution d’électricité. Unité Environnement. Hydro-Québec, 49 p.
Ricard, J.P. & Aubin I. 2001. Synthèse des études de maîtrise biologique de la végétation incompatible croissant dans les emprises de distribution d’électricité d’Hydro-Québec. Hydro-Québec. 39 p.